About a year ago, John and I realized we were in trouble with my health. 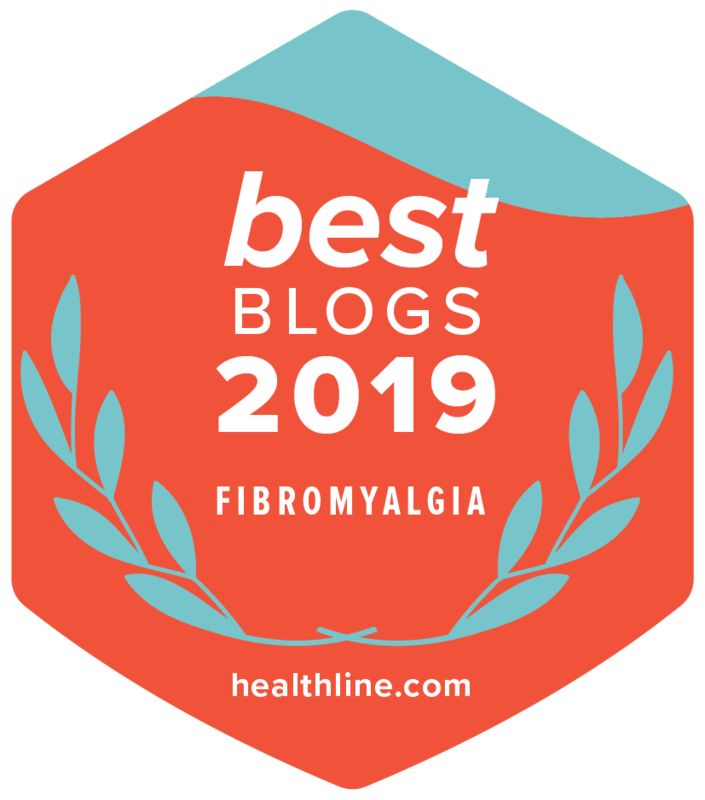 Yes, we knew we were embarking on a new journey with me being chronically ill, but it took us a while to realize just how much our lives were going to change. Most of my readers that have stuck with me since My Several Worlds first launched in early 2007 have watched us take journey after journey. The whole point of this site was to write about the several different worlds I live in: Canada (my homeland), the USA (John’s homeland), Taiwan (our adopted homeland), and China (where we met and spent our first three years together.) Soon enough this site had to be expanded to include another journey – the journey of being chronically ill abroad. We’ve traveled to countless other countries and we laid down roots in Asia. We traveled the world with longing to see and learn about new cultures and peoples. In 2009, we learned I had Ankylosing Spondylitis. No one really prepared us for what was coming. As the hospital appointments continued to increase and my pain and suffering worsened, the stress of keeping up with our business, our lives, and the things we used to love to do together started to take a toll. We stopped traveling. We stopped going out. We dug down deep and held on to life as I fell further and further down the rabbit hole, getting sicker and sicker with an incurable disease that is unstoppable. I’ve achieved remission twice since 2009. The last time I was in remission was July 2014, and that was pretty much the end of life as I knew it. By 2015, I knew I’d be struggling to stay out of a wheelchair. I was right. I’ve seen several countries by wheelchair since 2011 and we finally decided to buy one in 2017. We also made two trips home in 2015 to see our families. We knew what was coming. Deep in our hearts, we could see the changes unfolding like new leaves on a tree in the springtime. As these changes occurred, I kept fighting and using all my resources to keep going, but on February 18th, 2017 – the day I received another new and devastating diagnosis and the same day my sister eloped – we both had to make some very difficult decisions. It was then that I started getting rid of certain elements of my life that were causing me stress. It took me the whole year to empty our home of everything we couldn’t use again. We aren’t quitters. We started pulling back on everything. We made a pact that if my health hadn’t improved by August 2017, which was when my sister and her husband where throwing their wedding reception, I would back out of everything – all the volunteer work, travel, and extra work I have been doing. We divided up our work load differently to space things out. I flipped my work hours and started sleeping in longer and working later in the evening to see if the sleep-ins helped with my chronic insomnia. It has helped. It was a good change to make, so we’ve stuck with the new work hours for me. May 2017 came and went and there was no improvement in my health. We were out of time to buy tickets home to Canada and my doctor did not think I should fly home without access to medical care in Canada. It wasn’t safe for me to fly when I had spent the last part of 2016 and the first part of 2017 crashing – fainting, passing out, going blue, – endless trips with John rushing me to the hospital. My body was saying NO MORE. STOP. STOP. STOP. August 2017 arrived and we looked at each other and knew we would spend the rest of the year tying up loose ends in our lives in order for me to rest completely in 2018. My one and only goal in 2018 is to get some of my health back so we could fly home to see our families. During all that time, we found it exceptionally hard to slow down, simplify our lives, and care for ourselves. I knew I could do this. After all, I did it in 2003 when I packed my entire life into a few boxes, stored them with my family, and moved to China with a few bags. We arrived in Taiwan in 2006 with a couple of backpacks. Over a decade later, we have so much stuff in our lives again, it’s like we’re back where we started before we left North America. Why are we so afraid to let go of things in our lives that cause us stress? Why does it take so long? We are we afraid to practice self-care? For me, I can say without doubt that my drive to succeed came at a great personal cost to my health and soul. I knew I was going down, and I spent the better part of 2017 preparing for it. I struggled to figure out which parts of my life were causing the most stress. I told myself over and over I couldn’t keep juggling all those balls in the air anymore. There was no time to run my own business, continue with my volunteer work, keep up with my health (29 visits to the hospital in 2017) and keep my relationship with my husband going, so we chose to remove it all and decided to focus on us. So I handed in my notice and started clearing out the parts of my life in my home that were gone years ago. Anything that caused me stress, anything that did not bring me joy, anything that caused me to exert extra energy all went out the door, room by room, item by item, with many tears and silent reminders to look forward to tomorrow and not think about the past or the future. I had to learn to live in the ‘now‘. It’s hard to live in the present when you have illness or things or people in your life that won’t allow you to do that. To achieve my goal, I took a serious look at everything in my life, all the things in my home; all the people who were there or not there or who were draining me. I let a lot of toxic friendships go. I learned that some people couldn’t support having a friend who was sick all the time. I made a conscious decision not to allow these people to have access to my life anymore. I let my last one go in September 2017. As for our living space, letting go of what we have accumulated in Taiwan over the past 12 years was hard, but I chipped away at it room by room for the whole year. I looked at each item, considered it, and then let it go. Some possessions sat in a corner for months while I deliberated over whether I should keep them or not. In the end, I realized if I was thinking so much about it, it probably needed to go. Now I can’t say how John handled all of this. Certainly he had his own issues this past year dealing with our decision to cut back and he handled things in his own way, but we were both in agreement. We appreciate the people who took the time to listen to both of us and tell us it was going to be ok. I can’t say anything about John’s journey, but for myself, I finished up and created my end to the end of that old story we had been living. By the time I got to October 2017, I was down to the basics, and I went through it all again once more to decide if it really deserved a place in my new normal. Why keep heels if I can’t walk in them? Why keep party dresses if I can’t wear them? Why keep books I haven’t read or paperwork that we haven’t looked at in over eight years? 1. Change your mindset in order to let go of one life to make room for your new life. Clearing out and letting go is a way of life. It’s a journey. Clearing out doesn’t mean you’re getting rid of things. It means you’re letting go of things, people, and thoughts that prevent you from living the life you were meant to live. Grief for a loved one, grief for oneself, illness, betrayal, and anger are all things that you can let go of. 2. Put yourself first and practice self-love. It’s easy to care for others. It’s also easy to neglect yourself in this day and age as we are swept along in the currents of day to day life. Clearing your heart and mind starts and ends with you. If you don’t feel safe to do it, you can’t let go. You create your safety net by recognizing what needs to be dealt with. 3. Slow down. Clearing old habits and resisting past behavior traits that cause you stress are not possible if you don’t slow down and take your time to make the changes. This means you need to practice awareness, not rush through everything. 4. Simplify your home and living space. Unplug, do less, be more. 5. Figure out what your fight or flight triggers are and cut them out. Triggers could be places, people, sounds, things, and emotions. The things that keep you stuck in place and experiencing the same emotional reaction – those things need to go. Once you know your triggers, you can start to move forward WITHOUT THEM. 6. It’s ok to vent to people that you trust as you’re working through this process. It’s natural. If they aren’t accepting of you moving forward, let them go. 7. Cultivate self-care inside yourself and in your home. Just clearing your space within you and around you can change the energy vibrations surrounding you and help you become more in tune with being you. Set boundaries with other people. Understand what is yours and what doesn’t belong to you. Forgive. Release old stories to make room for new stories. Shine a light on the invisible clutter in your life. Learn to live knowing you are enough. 8. When you fully realize that you really are enough, you can break all the old chains of bad habits, pain, and cycles of grief to the other side, enlightenment, surrender, and simplicity. It took me a year to clear my space. 365 days to clear everything out. A year to explore myself and understand what I did and didn’t need in my life. My closets, bookshelves, filing cabinets, office space, kitchen cupboards, and boxes of memories have been whittled down once more, just like I whittled my life down in 2003 when I left for Asia. The sense of peace and calm I have now that I’ve broken free of the chains that were causing me so much stress are overwhelming, but reassuring. I now understand the term ‘the incredible lightness of being‘ – an absolute absence of burden. And no matter how much physical pain is ahead of me in my life, I know I’ve done the best I can do to start fresh and be less fearful while being happier and kinder towards myself. Everything is fresh, the essence of realization. You don’t need to spend your money to clear your life out. You don’t need to pay someone to do it for you. Doing it yourself is one of the most calming, therapeutic practices you can possibly do for yourself because you are consciously letting go with each step. It can all be done in a year. It all starts with you. I went through the decluttering process in the past year as I moved from a large house to a one bedroom apartment. However, I think I still have some internal decluttering to do. If you have any suggestions on how to do some internal decluttering, I’d love to hear them. I’m still so pleased with what we did with our home. It has made a huge difference for me. I really struggled with my internal baggage this year, though.